Meall an Iolra, Revagh Road, Salthill. 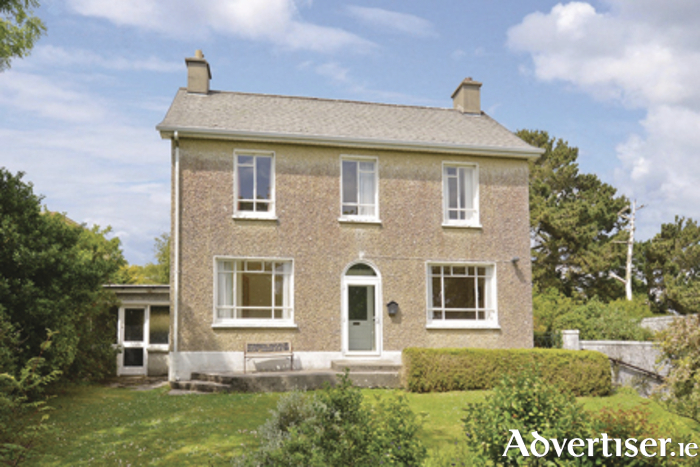 Sherry FitzGerald is offering for sale Meall an Iolra, Revagh Road, Salthill, a quality four bed detached two storey residence on a mature 0.12 hectare (0.3 acre ) site in a prime location in old Salthill. Built circa 1960, this house has remained in the ownership of the current owners since that date. Revagh Road is a quiet tree-lined road which runs parallel to the Promenade in the heart of old Salthill. Size is 132sq m (1,421sq ft ) approximately. The house has been maintained and cared for over the years and offers good quality accommodation. Internally all the rooms are bright and well proportioned. Each room enjoys views of the mature gardens and some offer views south over Galway Bay. Accommodation includes entrance porch, hallway with understairs storage, sitting room with open fireplace and built-in cabinet, living room, and bedroom/reception room with en suite shower room, wc, and whb. On the first floor there are four bedrooms, all with built-in wardrobes, and main bathroom. The BER is D1 on BER cert no 103912176, with an energy performance indicator of 258.98 kWh/sq m/yr. The gardens and grounds of Meall an Iolra are established, mature, and planned. They feature shrub beds, fruit trees, deciduous trees, lawns front and rear, with hedge and wall boundaries. There is off road parking to the front and access to a detached garage. Revagh Road is a prime residential location in Salthill, with primarily detached homes on large sites. It has access to all the established services of Salthill including primary and second level schools, Salthill village centre is just 500m away, the Promenade is 300m, and a host of leisure and sporting amenities are nearby. Properties of this size and quality rarely come to the open market in this location. Asking price is €870,000. Viewing is highly recommended to fully appreciate what this property and the location has to offer.